SEOUL -- Asiana Airlines will be put up for sale together with two low-cost carriers to maintain their synergy, but its main creditor, Korea Development Bank, did not rule out the possibility of a split sale through consultations with major shareholders to quickly put South Korea's second-largest flag carrier back on track. Creditors will endorse a fresh self-rescue plan presented by the debt-stricken Kumho Asiana Group to win an emergency bailout worth 500 billion won ($441 million) to ride out a liquidity crisis, Korea Development Bank (KDB) chairman Lee Dong-gull said, adding Kumho Industrial, the holding company which owns 33.47 percent of Asiana, would turn over its entire stake to a new owner. 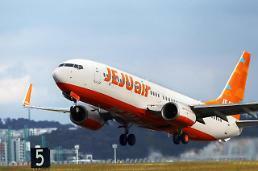 Asiana controls a 44.17 percent stake in Air Busan, a low-cost regional carrier joint venture with Busan Metropolitan City, and owns 100 percent of Air Seoul, another budget carrier. Creditors agreed to respect Kumho's desire to sell the three carriers together and maintain their registered trademark, Lee told reporters on Tuesday. "If the need arises during the sale process, separate sales can also be made through consultation with Kumho," he said, adding the most important thing in the sale of Asiana is "acquisition prices and funding capacity." "I thought it would be desirable to sell them in a whole package if possible as Asiana's subsidiaries were based on the synergy with Asiana," Lee said, putting Asian's total debt at more than 3.6 trillion won which is at a controllable level if proceeds from the sale of old shares held by major shareholders and paid-in capital raised through the issue of new shares will be used to normalize Asiana's operation. "It will need a capital increase, which is a fraction of the total debt, and that part will be the takeover fund. 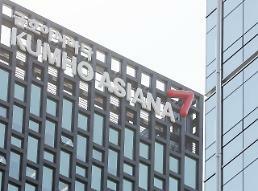 I think Asiana is a very attractive company that will make a profit," the KDB head said. Kumho Asiana's founder Park Sam-koo said Tuesday in a statement posted on an in-house bulletin board that he had made "an inevitable choice to wisely overcome Asiana's crisis. "Considering the shock and confusion that this decision will bring to you, I am truly ashamed to be the one who has led the group." 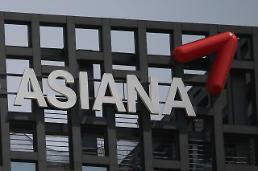 Asiana accounts for 60 percent of the group's total sales. KDB has urged the group to submit a revised self-rescue package since Park abandoned all executive posts at group units on March 28 to take responsibility for causing market disturbances and liquidity woes. 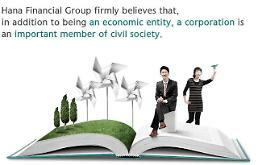 The group's ruling family has offered shares and private assets as collateral. Last year, KDB signed a memorandum of understanding that required Asiana to improve its financial status through sales of noncore assets and the issuance of convertible and perpetual bonds. Since then, Asiana has tried to raise money through asset sales, but the airline lost market confidence this month due to its unclear 2018 financial statement, raising concerns about its debt repayment and a group-wide liquidity crunch. 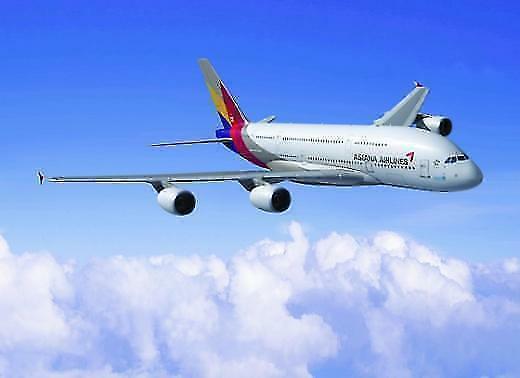 Due to currency-related losses and increased jet fuel costs, Asiana swung to a net loss of 10.4 billion won last year from a net profit of 248 billion won a year ago. Asiana's debt exceeds three trillion won while other group units have no excess cash. Asiana has rapidly expanded since its establishment in 1988 to become a full Star Alliance member in 2003, expanding its worldwide network and global brand.